Electronic music composer and owner of independent eletronic music label Harmonic Resonance Recordings.Recording as Alpha Wave Movement since the early 1990s. Music that intertwines the sinews of ambient, new age, progressive rock instrumental and IDM music into a melodic canvas of audio optimism.Music is available on Bandcamp on physical media cd and digital download:http://hrresonance.bandcamp.comHarmonic Resonance Recordings (H.R.R.) is a independent music label which saw its genesis in 1995. The goal of H.R.R. 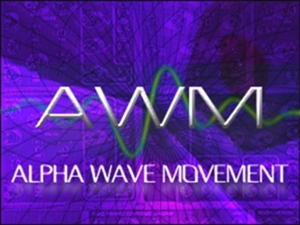 was and still is to release and promote the music of Alpha Wave Movement and all other related projects( Open Canvas, Thought Guild, Gregory Kyryluk(solo) & Within Reason that I am directly involved with. H.R.R. began before any record/music label was interested in releasing my music except perhaps with the sole exception of Silent Records which took interest enough to include the first Alpha Wave Movement track on a "From Here to Tranquility" compilation cd. The debut release on Harmonic Resonance Recordings was the 1995/96 release "Transcendence" and the release of new titles continues into the 2000s. Recordings have been diverse and incorporate elements of ambient, dub/tech/minimal, jazz, world music(Dub/Arabic/Indonesian), new-age, film and progressive rock music. Alpha Wave Movement & Within Reason projects have also recently been released by US based label Anodize and its subsidiary Periphery.